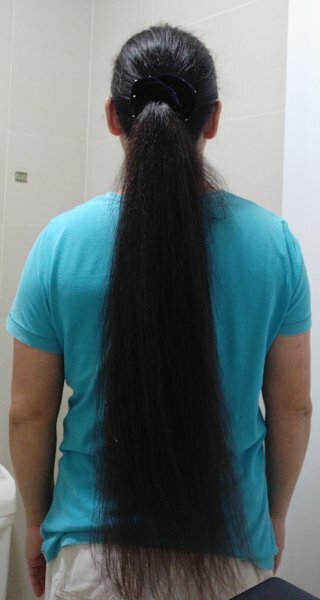 Hi guys, here's a pic of me, with my long hair, which has been a part of me for the past 20 years. The last time I had a "men's hair cut" is 1999. My long hair has followed my life's ups and downs, and went through cycles of bad and good hair days with me. Along the way, it was trimmed and I underwent hair loss - losing significant thickness, due to poor maintenance and neglect. Having been with me for a better part of my life, this is where my hair is at now. I plan to grow it even longer after it becomes thicker.